Apologise for inky finger nails and hands.....its dirty business this flower making malarky!! Obviously you can colour or decorate your flowers any way you wish, I am simply showing you the basic flower. How you embellish or colour it is up to you. Taking your stylus or the rounded bottom of your pen, start to emboss each flower in a circular motion. Do this to the centres and petals of each flower. See photo 1 above. Take your first flower, and gluing on the inside of the flower place a few dots of your glue at each side of the top of the petal. There is no need to add glue to the centre. See photo 2. Then start to fold your flower in and round to make a rose bud shape. I tend to have each petal over lapping the next but this again is not an essential rule. As long as it makes a bud shape of some kind. Hold it for a few seconds to allow the glue to hold the bud shape. On the underside of the bud, use your stylus or pen to flatten the bottom so it will sit evenly on the next flower. See photo 3. Taking your next flower, place glue into the centre of this flower and half way up each petal. See photo 4. Place the bed into the centre of this flower and mould this flower around the bud. The petals on this flower should not be completely glued up to the top of the bud, only half way up. See photo 5. Take your 3rd flower and place some glue in the centre and along the bottom of each petal. See photo 6. Again, the same as before, mould the flower around the layered bud. 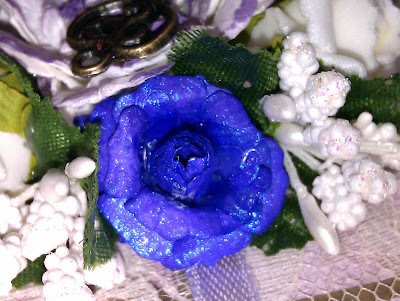 Again the petals will not be completely glued to the sides of the flower, this flower even less so. See photo 7. Taking your 4th and final flower, place glue onto the entire centre of the flower only. 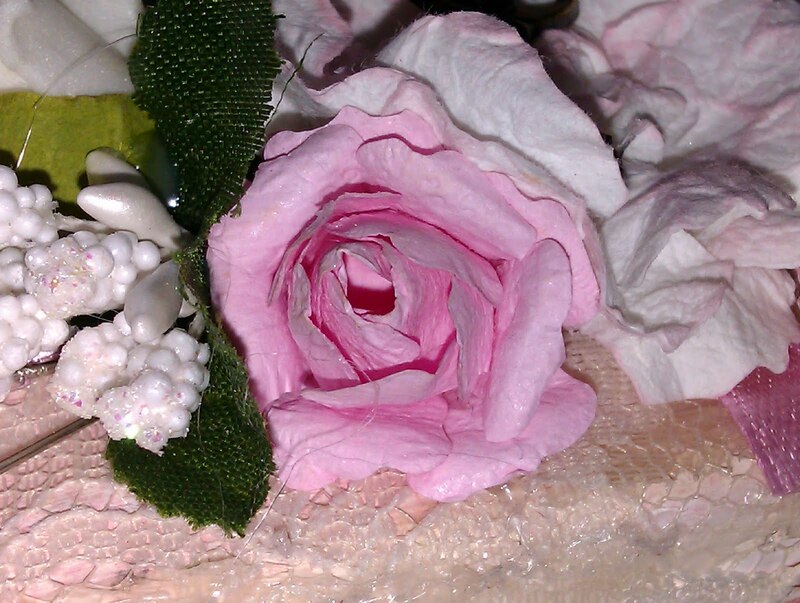 There is no need to add glue to the petals providing you have covered the centre well enough. Place your formed flower in to the centre of the 4th flower. It will look similar to photo 8. Finally, using your tweezers or a cocktail stick, start to roll and shape your petals to look like a rose making sure you keep the centre bud intact. And your flower will start to look like photo 9. After shaping your petals you should have flowers that look like these below. Just came over from Redrotties blog. You have a fantastic blog. Fab work on thegorgeous flowers. The followers have gone for a walk but will try later. Brilliant tutorial LEE! Thank you! What gorgeous roses Lee,fabulous tutorial. Fabulous tutorial, will definitely have a go at making these. Awesome! Such pretty roses. They are the BEST! Thanks for sharing the tut. 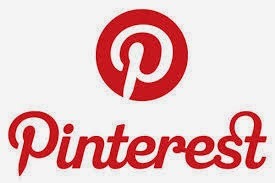 I'm loving all you tutorials and youtube channel......such a big help and great ideas...keep them coming!! I've just found this post by accident on google. What a fantastic tutorial, your flowers are beautiful - I'm going to try this later :-), thank you. Once again another fabulous tutorial. Can't wait to try it.